Though it is not compulsory to complete a Theory Test prior to starting your practical driving lessons, it is a very useful tool to helping you learn to drive as you will learn about road signs and road markings. Medusa School of Motoring Ltd are able to provide you with all the training material required to pass the Theory Test and this can all be conveniently done online. 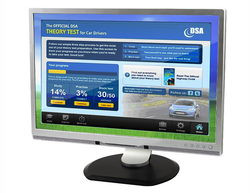 We will provide you with an online training account where you can access the entire Theory Test question bank and practice as many times as you like with mock tests which are just like the real thing! All this online training is available to all Medusa School of Motoring Ltd pupils FREE. You will be given your login details, speak to us on 0800 958 9520 if you need more information. Click on the link below to access.